Changes in climate, either long or short-term changes, can alter significantly the hydrological behavior of catchments. A statistical analysis of a thirty-four year time series of meteorological data collected in the Vantaanjoki watershed (Southern Finland) shows an increase in temperature and precipitation. The hydrological model SWAT was applied to the Vantaanjoki watershed in order to assess the impact of the measured transient climate change on the hydro-biogeochemical behavior of the catchment. The SWAT model was calibrated and validated for a period extending from 1965 to 1998. The model performance was evaluated comparing the measured and predicted time series for flow, suspended solids, total nitrogen and total phosphorus at the watershed outlet. The model was then run for the same period with climatic data where the observed increase in temperature and precipitation was removed using non-parametric techniques. It was shown that the observed climate change was responsible for the decrease of the snow cover and increase of winter runoff. On an annual basis, small increases were noted in nutrient losses, however, with significant seasonal differences. 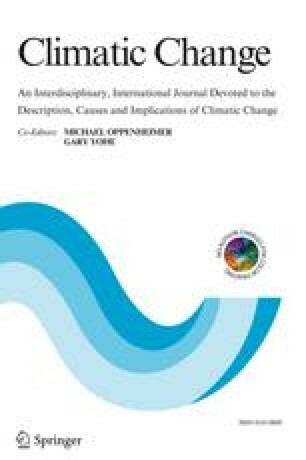 Globally, the observed climate change was responsible for an increased contribution of diffuse nutrient losses to the total nutrient load.